The summer growing season with its plentiful yield of nature’s bounty is a wonderful time of year. Those fresh fruits and veggies are a great accompaniment to any meal, but it can become a bit overwhelming when Mother Nature produces more than you know what to do with. Why not get creative and turn some of that bounty into homemade ice cream? 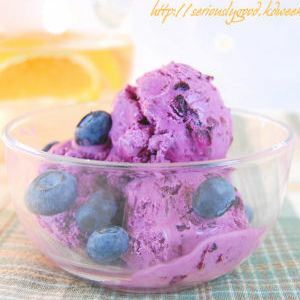 A bowl of homemade peach or black raspberry ice cream is a tasty treat. So is a heaping scoop of strawberry ice cream. Your imagination is the limit when it comes to thinking up new flavors. How about a scoop of sweet potato ice cream? Making ice cream is not a difficult process. It depends on the type of ice cream maker you have. If you don’t already own one, you can buy an inexpensive model for less than $25. The Play and Freeze Ice Cream Maker is a great way to get the kids involved and you don’t have to worry about them getting their hands into moving parts or being electrocuted because they threw the unit in the pool. The best part of making your own ice cream – outside of eating it – is that you can control what goes into the mix. Try some. You just may find you really, really like it!